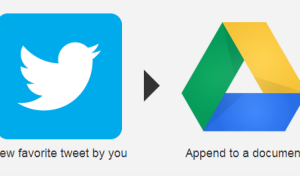 Twitpic is one of the most used picture sharing tool on Twitter. 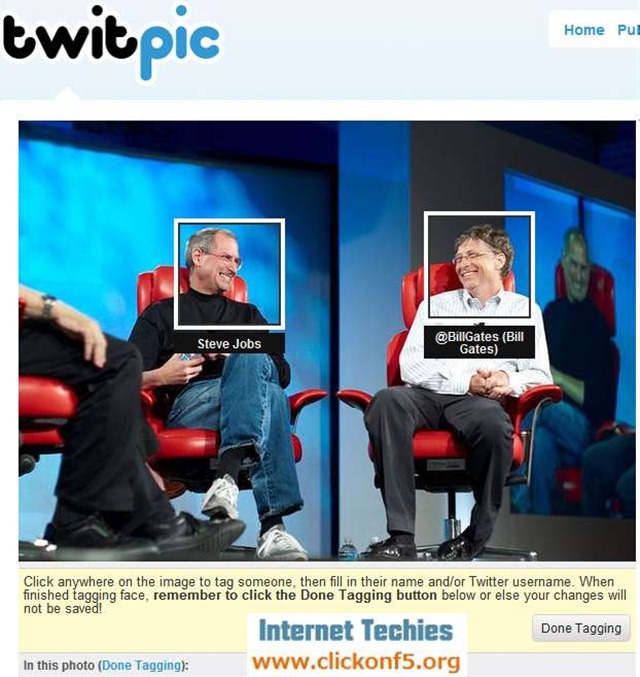 Now you can add Facebook like face tag on the shared pictures on Twitpic. This will let people know about the faces in the picture and their twitter ID as well. Here is the step by step process to add face tag on pictures upload by you on Twitpic. 4. Below the uploaded picture, you can see a link as “Add/Edit Faces”. Click on that link to add face tag. Once you will click on that link, mouse cursor will change after hovering on the image. Go ahead and click your mouse on the face where you want to add tag. In this example, I am adding face tag on Steve Jobs and Microsoft’s Bill Gates. You can see that in case of Bill, have also provided his twitter ID. 5. Once you are done with the face tag, click on “Done with editing” link provided below the picture. Done! 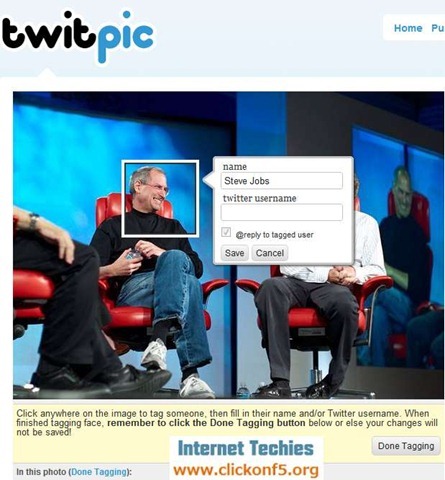 Face tag is added on your picture. 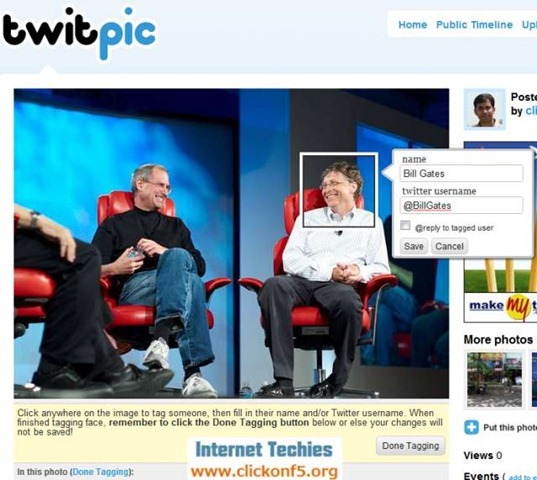 Now if you share this picture link on twitter account, people can see the face tag after hovering their mouse on the picture.